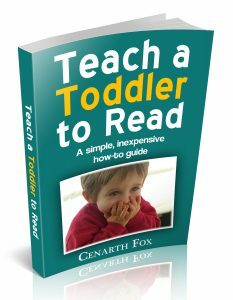 A detailed guide for parents and grandparents wanting to help their toddler start reading at a very young age. A toddler is usually aged between 1 and 4. Here is a simple method of teaching your youngster to read aloud before they even start kindergarten, let alone school. The method uses the two traditional planks of learning to read – phonics and whole word. But it is the way they are used which gives you the chance to help your toddler discover how to read and thus to love to read. Teach a Toddler to Read shows you how to make recognition of words simple. You and your toddler can create a book which your toddler can even illustrate. You don’t need any fancy equipment. Some paper, a texta pen, some pictures, and simple flashcards are all that is required. And of course the book. Imagine the joy and pride you will discover when you help your toddler to read. Available as an eBook from Fox Plays and from Amazon. There are heaps of web sites, blogs and eBooks. New ones appear every day. People need copy for these online sites. They need articles for their web sites, posts for their blogs and eBooks they can sell or give away. Then there are sales letters, speeches, song lyrics and poetry. Who creates this copy? Freelance writers do. They work from home for employers all over the world. 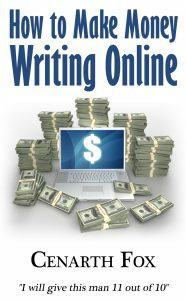 This book shows you where these freelance online writing jobs can be found, how you can write quality and relevant job applications, what to charge and, most importantly, how you can start or boost your career as a freelance online writer. There are many pitfalls in the world of online writing. This book tells you all about many such pitfalls them and shows you how to avoid them. If you want to become an online freelance writer or are struggling with getting work in that field, this book gives you all sorts of practical advice. It’s written by a very successful online writer with 100+ 5-star reviews, examples of which follow. There’s no doubt about it. Cenarth is a brilliant writer. He does research and goes the extra mile. He is certainly ranked as one of our best writers. We will certainly be providing him with long term work. Cenarth is an amazing editor. He caught mistakes that several proofreaders and copy-editors I hired before missed; he suggested a lot of edit (where to re-write, where to cut to keep the pace going, and where to get rid of unnecessary information). He gave me some nice advice on the side and is an overall nice guy. I think of all the people I’ve hired, he was the most professional in his approach and in the job performed. I definitely recommend him. Undoubtedly this ghost writer has transformed my piece into a book that is easy to read, flows correctly, and has a sustainable plot. His writing makes the book a “page turner”, and his additions and re-interpretation of my work has been priceless. I recommend him and give him a glowing reference in return for the amazing job he did for me. I am sure that this ghost writer is able to deliver on any project given to him in the amount of time stipulated. Outstanding! Articles were delivered quickly, verified as 100% original, and the client loved them. Looking forward to working with Cenarth again. A fantastic writer and great communicator from start to finish of the project. Everything he promised he delivered and to a higher level than I expected. Available as an eBook from Fox Plays and Amazon.